Indian Ridge is unique. When Greater Homes decided to develop this 500 home estate it was considered by many to be too far away from everything. Located 3 miles south of the Walt Disney World Resort there were virtually no shops, restaurants and services within miles. 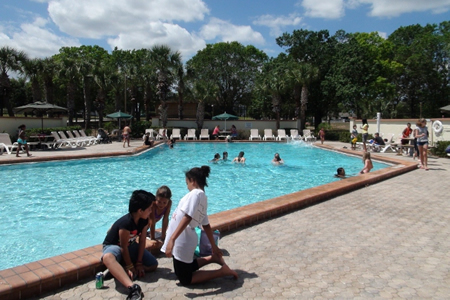 Today, Indian Ridge is surrounded by modern neighborhoods with many more being developed. The charm of Indian Ridge is that the developer had a vision to include mile upon mile of walking paths and two very large parks that anchor the front and back of the estate. 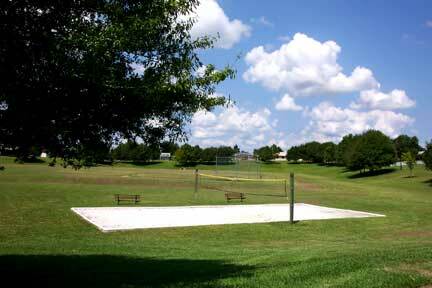 Over 20% of Indian Ridge is dedicated to shared park land. 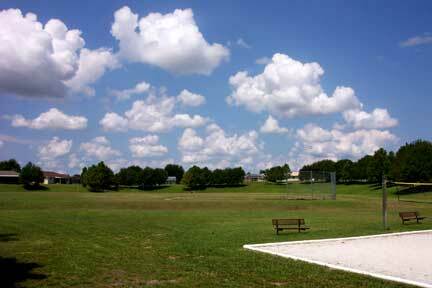 The entrance area of Indian Ridge has the largest park. 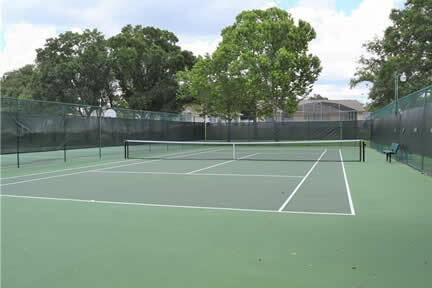 Tennis courts, large community pool and playground are just part of the appeal. 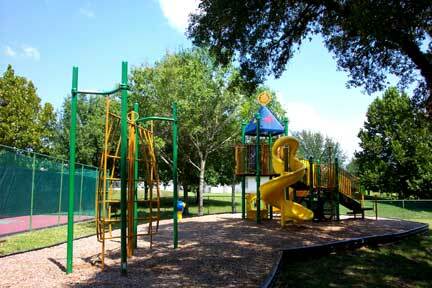 Children can enjoy one of the largest playgrounds in western Osceola County. Parents will enjoy relaxing on the park benches while they watch their children enjoy themselves. 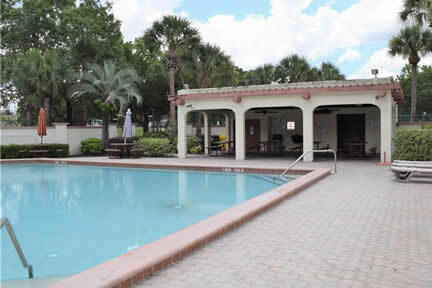 All Homeowners at Indian Ridge are welcome to use this pool and Tennis Court. Short and Long Term renters may be granted access subject to the terms defined by the Indian Ridge Homeowners Association. Water Depth ranges from 3 to 5 ft and there are easy access steps and grab bars for those with minor disabilities. 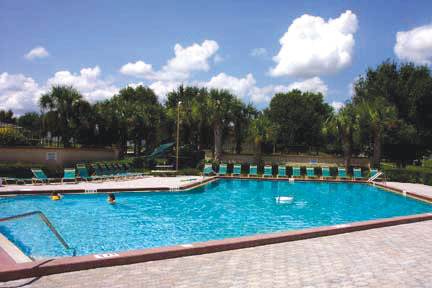 Security gates and perimeter fencing make this pool restricted to those who have access keys. Children must be supervised at all times. Non residents are subject to criminal trespass by the Osceola County Sheriff. Operating hours are from dawn to dusk and may be closed for occasional maintenance or repair. Group parties or usage may be available by special permission. Night time usage is forbidden without permission of the Indian Ridge Homeowners Association. A large volleyball pit backs up against a baseball diamond and football field. Cement jogging paths circle the entire park. 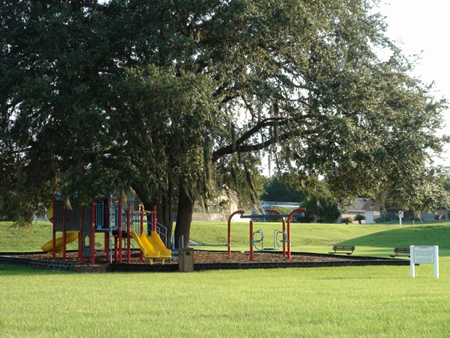 The second park is located behind the homes on Simon, Jenny, Robert and John Ridge. A large play area is very popular with children playing ball games but the main attraction is the children's play set and shaded picnic area.